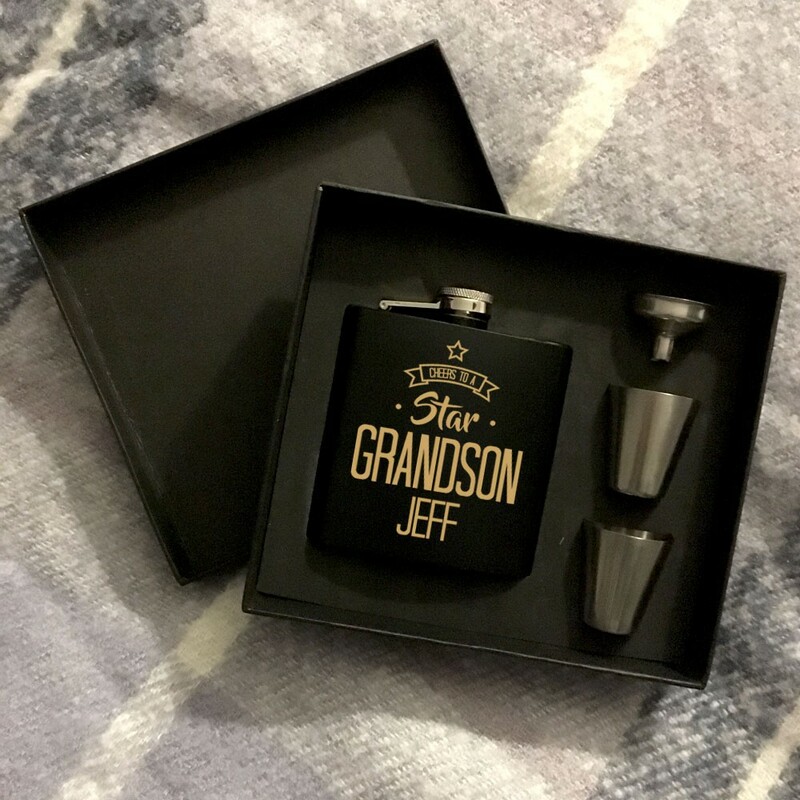 A special Grandson deserves a special gift, and our matte black personalised hip flask gift set has all the ingredients of a special gift. 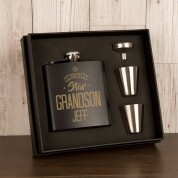 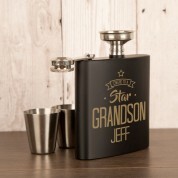 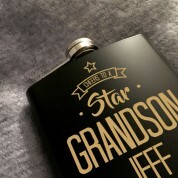 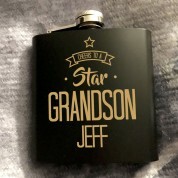 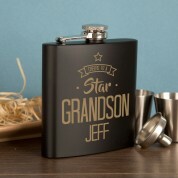 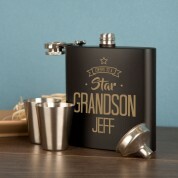 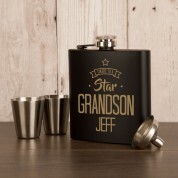 We laser engrave our hip flasks which produces a chic design and is personalised with your star Grandson's first name. 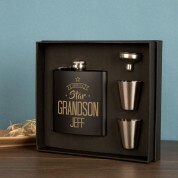 You can present it to him in its stylish black presentation box which also comes with two measure cups and an easy fill funnel.